After initial reports on the deal were released, Ken Rosenthal now sheds a little more light on the contract details for Encarnacion. Here is newer information via Twitter. 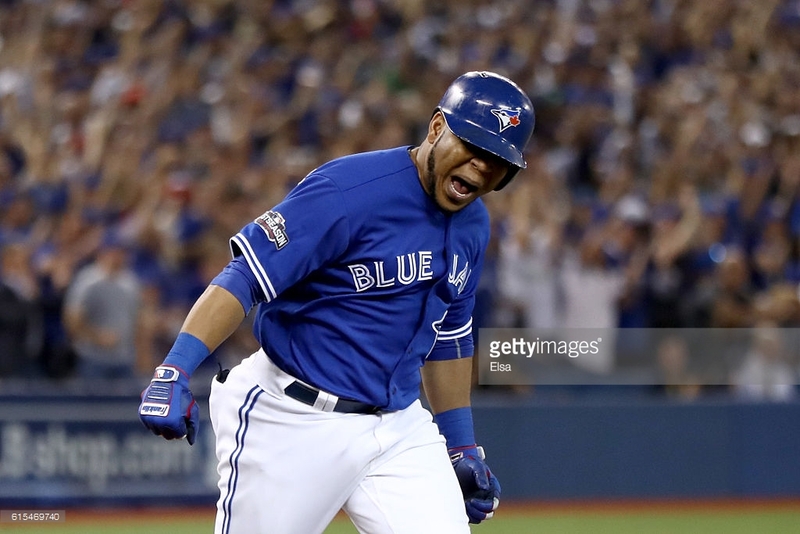 Second correction (apologies): Sources say Edwin with #Indians is three years, $60M, including $5M buyout. Option valued at $25M. Max: $80M. Several media outlets are reporting that the Cleveland Indians have landed a big fish in free agency. The wait for Edwin Encarnacion to sign has finally ended. It is a three-year deal worth a reported $65 million which is guaranteed and it also includes an option with a $5 million buyout. Source: Edwin Encarnacion’s deal is actually $65M guaranteed. The $5M option buyout is on top of $20M a year he’s getting for three years. The Indians have found a more potent replacement for Mike Napoli instantly making them a contender to repeat as American League Champions. Encarnacion will be 34 when the season starts and has done nothing but been an offensive juggernaut over the last several seasons. The three-time All-Star has hit 193 home runs over the past five seasons. He tied his career high 42 in 2016 and led all of baseball with 127 RBI which was also a career high as a member of the Toronto Blue Jays. It is a little bit of a surprise that a team like Cleveland pulled this deal off, but I think once you get as close as they did last season to winning it all, you need to take the chance. It isn’t a stretch to say that with this signing and the hope of a healthy pitching staff, that the Indians may be battling the mighty Boston Red Sox for the pennant in October. There are still several bats yet to sign, but the dominoes may fall now that one of the big ones has finally found a landing spot. Next Story → Will Encarnacion Put The Tribe Over The Top?